Marty Beller is a New York City based composer/drummer/percussionist who has a long history of collaboration with dance, film,TV and pop music. He has an extensive list of credits and has received praise from the New York Times, New York Post, Village Voice, Boston Herald, Boston Globe, and Billboard. He has composed and performed with Jennifer Muller/The Works, Chet Walker/8 and ah1, Sean Curran, Heidi Latsky, Andrew Jannetti and Dancers, Kelli Wicke Davis/Roger Williams University Dance Co., Alice Tierstein/ Young Dancemakers Co., Kathy Wildberger and Bill Hasting/RhythMEK. 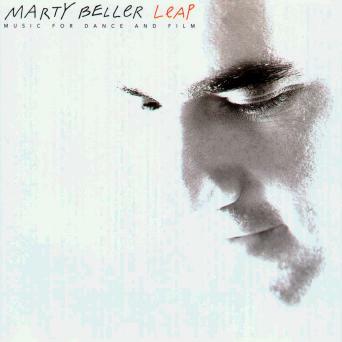 Leap is a fine combination of Marty's dance and film collaborations!!! Excerpts of Leap are in MP3 format.